Strong Wind Gusts Expected This Afternoon. Clearing skies and deep mixing will result in increasing west-southwesterly winds into this afternoon. Sustained winds are expected to be between 20 and 30 mph with a few gusts reaching into the 40 to 45 mph range. These strong winds will subside by 7 PM CDT/8 PM EDT. 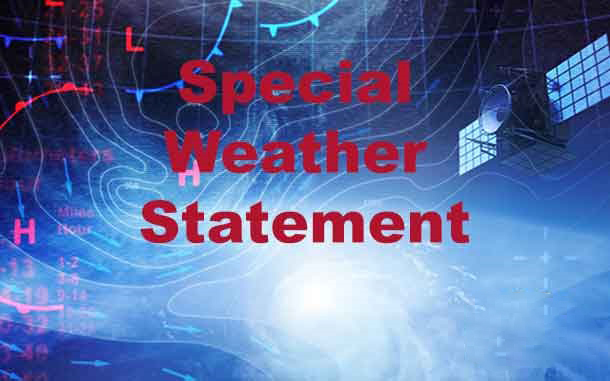 Instructions: Unsecured outdoor objects may be blown around and tree limbs may be blown down. Indiana Target Area: Cass, Fulton, Grant, La Porte, Marshall, Miami, Pulaski, St. Joseph, Starke, Wabash and White Counties. Strong Wind Gusts Through This Afternoon. Easterly winds are expected to remain between 20 and 25 mph with wind gusts reaching into the 30 to 35 mph range through midday. This afternoon winds will become southeasterly this afternoon and are expected to increase to between 25 and 35 mph with a few gusts as high as 45 mph for a few hours. Instructions: Tree limbs may be blown down and could fall onto utility lines, leading to isolated power outages today. Make sure to secure any loose objects that may be blown around in high winds. WIND ADVISORY IN EFFECT FROM MIDNIGHT EST /11 PM CST/ TONIGHT TO 8 AM EDT /7 AM CDT/ SUNDAY. The National Weather Service in Northern Indiana has issued a Wind Advisory, which is in effect from midnight EST /11 PM CST/ tonight to 8 AM EDT /7 AM CDT/ Sunday. *Winds from the southwest will gust to 45 mph late tonight. *Scattered tree and power line damage is possible. *Unsecured outdoor objects will be blown around. WIND ADVISORY IN EFFECT FROM 11 AM EDT /10 AM CDT/ TO 8 PM EDT /7 PM CDT/ THURSDAY. 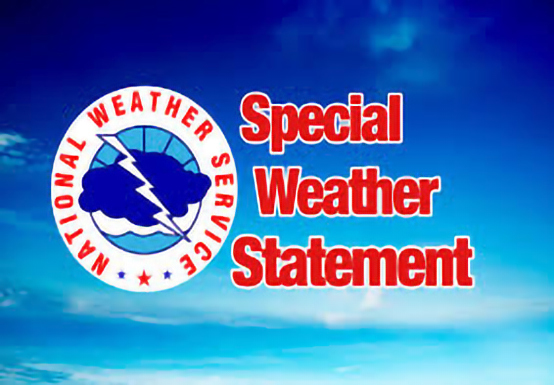 The National Weather Service in Northern Indiana has issued a Wind Advisory, which is in effect from 11 AM EDT /10 AM CDT/ to 8 PM EDT /7 PM CDT/ Thursday. *Southwest winds of 25 to 30 mph with gusts to 45 mph can be expected from late Thursday morning into the early evening hours. These strong winds will not be associated with the expected thunderstorms on Thursday. *Isolated gusts to 50 mph will be possible. *Isolated tree and power line damage is possible. Instructions: A Wind Advisory means that sustained winds of 30 mph or gusts of 45 mph are expected. Winds this strong can make driving difficulties, especially for high profile vehicles. Use extra caution. COLD AIR MOVING INTO THE REGION. An arctic airmass will overspread the region tonight and persist through the first part of the week. Low temperatures tonight are expected to drop into the single digits above zero across much of southwest Lower Michigan, northwest Indiana, and portions of north central Indiana. The combination of these cold temperatures and west winds of around 10 to 15 mph will produce wind chills as cold as 10 below to 15 below zero late tonight into early Monday morning. Frostbite can occur if precautions are not taken. Be sure to bundle up and limit exposed skin.